YouGov CEO, Stephan Shakespeare, assesses how foreign takeovers can play out among the British public. News that American pharma giant Pfizer is pursuing the British-Swedish drugs firm Astrazeneca has set the business world alight. While the business cases of such deals can be straightforward, how consumers react to brands is not. 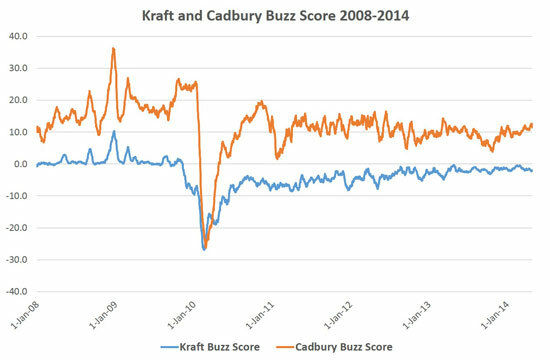 To see how foreign takeovers can play out among the public, I have used YouGov’s BrandIndex tool to look at Kraft’s hostile bid for chocolate firm Cadbury in 2009-2010. In terms of their Index scores, which measure overall brand health, both companies are in a very similar position today as they were before the takeover talk began. However, it would be wrong to assume that takeover was without repercussions for the pair. While Kraft saw a small rise in its score in late 2009 as more people became aware of it, this fell sharply soon after the deal was completed and restructuring took place. It then stayed below its pre-takeover level until 2013. 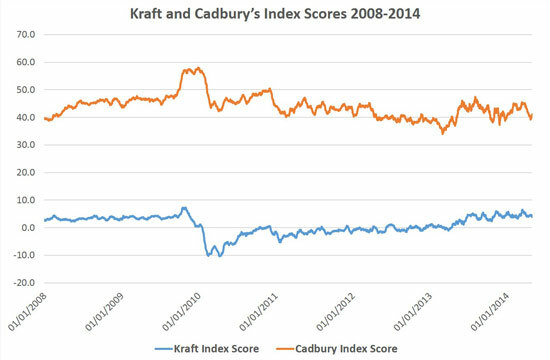 As talk of a transatlantic tie-up emerged, there was a surge in Cadbury’s Index Score as consumers contemplated what they liked about the brand, before falling back to its previous level once the deal was done. However, where the real impact for Cadbury came was in its Buzz scores, measuring whether people had heard anything good or bad about a brand in the previous two weeks. The takeover sent its score diving from +25.8 to -26.3 in little over six weeks, and it took a year to recover the lost ground. Of course, the takeover of a drugs firm is unlikely to hit consumers as deeply as the sale of a much-loved confectioner. However, it does show how passionate the British public can feel when a major brand falls into foreign ownership. With politicians now talking about curbs on overseas takeovers, consumer sentiment about such issues matters greatly.